What’s romantic about math? It’s all in the mind – especially that of our universal scholar Ludwig Oechslin as he lowers his pince-nez down his nose and applies himself to his thousands of calculations. Page after page of numbers, all with one aim: to achieve the most precise indication possible. 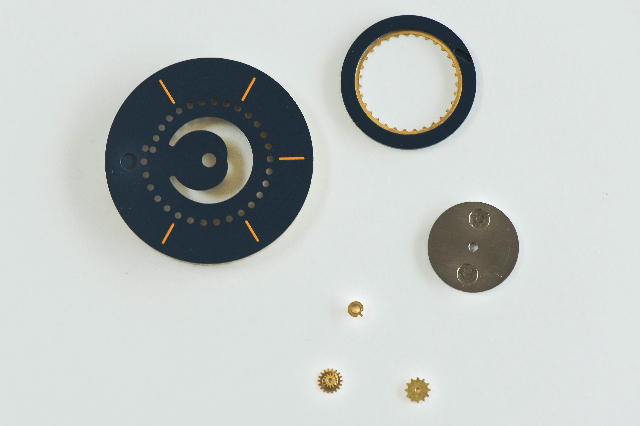 Ludwig’s minimalistic solution has emerged from a series of moon phase prototypes. His solution is, in other words, utterly accurate – but it’s also mind-blowingly simple in its pared-down minimalism! 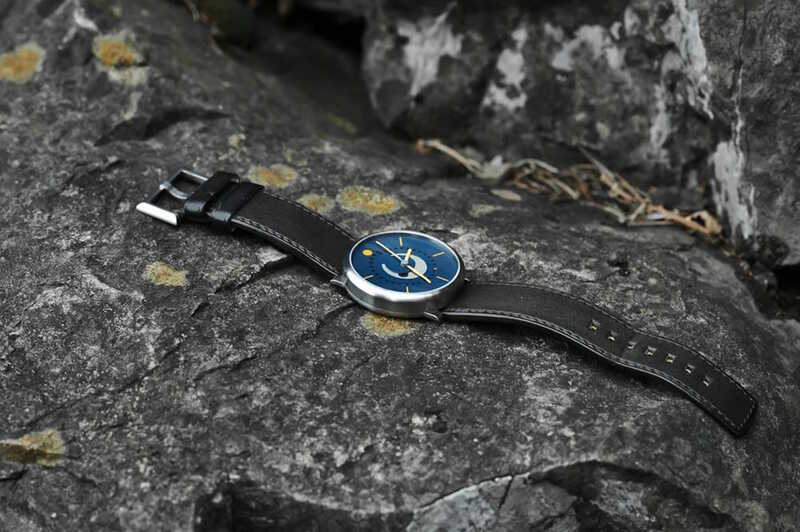 Where a watch designer would normally use between 20 and 30 individual components to achieve a conventional moon phase indication, Ludwig has managed it with just five! Moreover the precision he has achieved is around three times greater than the other already very precise indications. In short: pure mechanical romanticism! Astronomical timepieces possess epicyclic or planetary gearing – a gear system consisting of one or more outer ‘planet’ gears revolving about a central ‘sun’ gear. The little wheel below left in the photo turns within the toothing of the outer annulus of the dial. It is driven by the little wheel below right in the photo, which in turn is driven by the third of the little wheels (the one with the finger). This latter wheel is positioned on the hour rod that moved the hour hand. 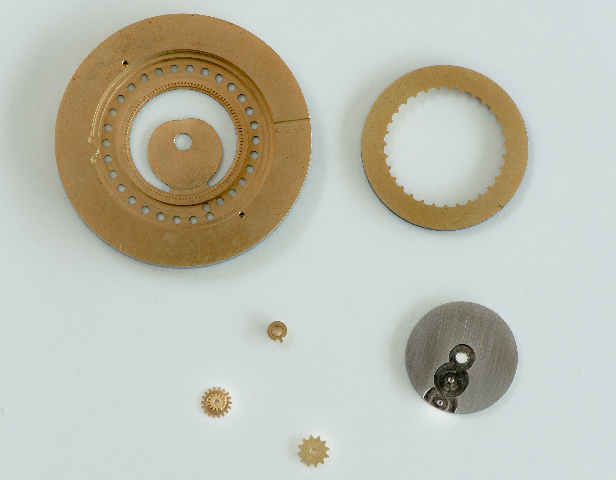 All these parts are integrated within the titanium disk and thus cause it to rotate – very, very precisely! Ludwig systematically examined more than 1000 fractions for their usability, ending up with a shortlist of around 25. These resulted in a number of castings, and the end result represents an outcome offering the best ratio of accuracy to feasibility. When the orange dot is added to the dial at 12 o’clock and the circular full moon and new moon indentations in the titanium disk are filled with pigment, what you have is the selene tinta – the world’s most mathematically accurate moon phase indication ever offered in a wristwatch. Romanticism of a very special kind! A wrist-borne stroke of genius. Just for fun, we’ve thought up a very special and highly original test for our astronomic watch: click here!